1) With hands and metallic brush. Never karcher (very agressive for roofs). 2) Products who act when the weather is dry and temperature over 5 degrees C). 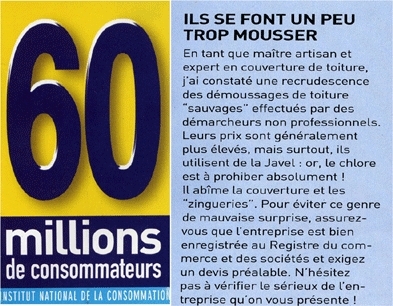 We only use recognized productswho respect environnement and don't contain chlorine or bleach. it's to respect zinc objects. 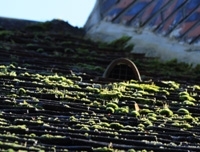 Our products specially used for roofs destroy mosses. The effects aren't immediates. You have to wait for 8 months after them. To clear mosses must be made by professional workers. A roof well treated can be correct twice, for a long time. A roof must have a maintenance each ten years and for older ones each two years.